Following the literature review which I described in my last blog post, the typical next step on an MBA project is the research stage. This was the stage that I was most looking forward to, as it allowed me to engage in the topic in a real-life environment, and capture new insights above those I had read about in the literature review. Although I already had a view on the approach I intended to take for my research, I reviewed the book Research Methods for Business Students first; this not only shaped my research plan, but also helped me appreciate the reasons why this approach was most suitable, as well as some of the limitations. It quickly became apparent that planning academic research is about much more than just deciding whether you want to undertake interviews, surveys, observation, etc., with many other factors to consider first. One of the first aspects to consider is the Research Philosophy, which could be one of Positivism, Realism, Interpretivism and Pragmatism. Following a brief review of these, it became clear that I was pursuing an interpretivist philosophy for my research. Although I don’t feel this impacted significantly on how I undertook my research, reading about these philosophies brought an awareness of the different perspectives that research can take, and helped me appreciate how complex the field of research is. Although I originally wanted to pursue an abductive research approach, following discussions with my supervisor I decided to use an inductive research approach, as I would not have had time to undertake two separate research exercises. Next I considered the Research Methodology – was I intending to undertake quantitative research based on statistical or mathematical data, or qualitative research based on words, images and other less-structured data (I appreciate this is a somewhat simplified view of the two!). The majority of my research was likely to be qualitative (as I was planning to use interviews to capture participants’ viewpoints) but there was also likely to be a quantitative aspect as I intended to capture some information in specific categories, and then apply a mathematical comparison of the output. My key observation from this, however, was that the choice of qualitative or quantitative does not necessarily need to be made when planning research, and in my case developing my research plan changed the balance slightly. I opted to pursue an exploratory research design, as the objective of my research was to plan for a future scenario, as opposed to evaluating a past situation. Initially my intention was to pursue a case study approach; however, after further investigation I realised this involved focused on explaining a past or current event, rather than preparing for a future one (which was the objective of my dissertation). This led me to look into action research, but this relies on the research resulting in changes to the topics being studied, which would not be possible in my “advisory” P&D. 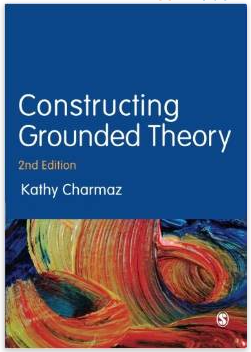 I finally decided to use a grounded theory research strategy, which involves developing new theories based on findings from my research. Although the choice of research strategy may appear academic, I would strongly suggest that anyone undertaking a P&D considers this towards the start of their project – there is a wealth of information on each of these strategies that will not only help design the research appropriately, but also maximise the insights captured from it. I personally found a lot of value in reading about them, especially when I had decided on the strategy I wanted to pursue. Getting a good sample is critical – I was lucky as I had a very supportive sponsor who helped facilitate access to a large and appropriate range of interviewees, but this is definitely something that should be considered early as gaining access can take some time. Use the right tools – I purchased a Sony Dictaphone just for this research, which was a very worthwhile investment as the interview recordings were extremely clear and easy to review and write-up. Plan your interview, but be flexible – I spent a lot of time preparing interview themes, questions and discussion points, all of which were valuable for less forthcoming interviewees. However, some of the most insightful interviews were those where the interviewees strayed from the initial themes slightly, and exposed thoughts and observations that provided a more rounded view of my research topic. Be conscious of the time to write-up the results – full transcribing of interviews can take 3-6x the length of the interviews (so 15 x 45-minute interviews would require 30-60 hours!). However, depending on the purpose of the research full transcribing may not be necessary; I used a coding approach to reduce this to about 2x the duration (see the textbooks on Grounded Theory for more information on this). As you can probably tell from the above, planning research is far more involved than just choosing a way to collect data, and I recommend the above points are all given at least some thought prior to starting research (not least because it will help when writing the ‘research methodology’ section of your dissertation). I would also recommend either investing in or loaning two books – the first would be a broad business research book the explains the above in more detail (such as the one I mentioned in a previous blog post); the second would be a book specific to your choice of research strategy (eg. grounded theory), as this will help ensure that your approach to data collection will allow you to analyse the results quickly, and in a way that maximises the value you get from your findings. Overall I found the research stage of my P&D really interesting, and it gave me a fantastic opportunity to engage with some senior individuals at my employer and discuss a very interesting topic (and if there are any reading this – thank you very much for your time, every interview was extremely valuable). The next step of my P&D was to analyse the results and write the dissertation, which will be the subject of my next blog post. It is with great pleasure that I can write that earlier this month I submitted the final assignment of my MBA, the dissertation. Pressing the ‘Submit’ button represented not only the completion of my Project & Dissertation, but also the end of my MBA studies – and despite having thoroughly enjoyed the experience, and acquired a wealth of knowledge, it felt wonderful to draw it to a close after 38 months of studying. All that is left now is to wait for my dissertation to be graded, following which I should be able to graduate and formally conclude my MBA in July this year. Until then, however, I will continue sharing my experience of the P&D; my last post described my plan for the P&D, and I will now explain how I approached the first stage, the literature review. I admit that this wasn’t something I was looking forward to – the task of finding and reviewing 50-100 documents seemed quite daunting. However, the book I referred to in my last post provided some useful guidance which made the whole process a lot easier, and resulted in me splitting it into four different stages: Search, Review, Analyse and Write. I started the literature review process by searching for articles using the Warwick University Library website. This contains a full catalogue of books, eBooks, papers, journals, and other documentary sources, which can either be accessed online, or viewed physically from the University Library; despite being a distance-learning student, I was still able to gain access to printed materials using the postal loan service, which proved invaluable on a number of occasions. One of the initial challenges is figuring out where to start – a search for “strategic alliances” identified 84,683 different articles! However, I quickly found that by bringing together different phrases that were aligned with my research objectives, I was able to view a more focused set of results. I also narrowed down the results using the filters built into the search tool (eg. timeframe = last 10 years, subject area = strategic alliances), and also undertook a manual filtering exercise where I excluded documents that were clearly not relevant based on their title. This didn’t take long – after 6-7 searches I had identified over 70 documents, and found that subsequent searches were increasingly showing the same documents. Once you have found the various literature sources, it’s important to find a way to store them. There is an ‘add to bag’ option within the library search application, but I didn’t feel this would give me sufficient ability to manage the different sources properly moving forward. As such, I decided to create a spreadsheet, recording the title, year, and any initial thoughts for each source – although this was more time-consuming than just adding to a bag, it was really helpful during the analysis and writing up stages. I also stored copy of each document in Evernote (see here to find out how) – although this was a time-consuming activity, it made writing the dissertation far easier. After collating all the documents I reviewed them in varying levels of depth – some I read end-to-end (especially the shorter HBR articles), annotating them using Evernote; others I just skimmed the introduction, conclusion and any sections that appeared particularly relevant. The objective of this stage was to determine the focus of each document, as well as understanding which of them would actually be relevant, useful and applicable to the research. A useful tip that I read was to write one or two sentences for each source that summarises the key message/focus areas; again this was very useful in future stages. As part of this stage I also recorded which of the research objectives each document was relevant to in my previous spreadsheet, which made writing the literature review much easier as I could just filter the sources by this column. The next stage of the literature review was to review the relevant documents identified in the Review stage, capturing specifically relevant comments, conclusions, explanations, theories, models, and other artefacts that can be used to explain, justify, or potentially challenge my research findings. This step became more of an ongoing process that started before I planned my research, and continued right through to writing the literature review; however, this might be a reflection of the methodology that I pursued (Grounded Theory) rather than being appropriate for all dissertations. Although I found this useful, it became very time-consuming, so I decided to use this approach for only the key texts about my research objectives, and then for the rest I reverted to recording annotations and comments on the documents themselves. However, this is not to say that the approach won’t work for others I suspect this depends on personal preferences, time available, and the nature of the research topic being studied. I had a number of clearly defined research objectives, and during the previous stages had assigned every source to one or more objectives. When it came to writing a section about that objective, a quick filter on the tables quickly provided a more focused list of content to base my review on. Whilst reviewing the content I highlighted in a specific colour any quotations that I felt were particularly relevant. A quick skim through a source looking for that colour then helped me find quotations that would support the literature review discussion. Separating out the research objectives into categories and subcategories not only helped me to structure the literature review, but also made it much easier to know where to bring in specific sources. For example, three specific papers focussed on knowledge leakage, and so when writing about that topic I could instantly locate previous research and insights. Although these four stages may appear to be a lot of work, and possibly an arduous approach, I found they allowed me to capture everything in a manner that made writing the literature review relatively straightforward. This approach also helped me become very aware of the different sources and authors, so when I wanted to discuss a point in the literature review, I often knew exactly which document to refer to without needing to review lots of articles. So that’s the literature review; the next stage of the P&D is typically defining a research methodology and undertaking the research, which I will discuss in my next post. It’s been a few months since my last blog post, as I have been busy working on the final stage of my MBA, the Project & Dissertation. In the middle of last year I posted about my decision to defer starting my P&D until after I had completed all 13 modules, so that I could focus 100% on the P&D, and review my project topic given that I had recently moved into a new job. Since then I have chosen a new topic, completed the literature review and undertaken my research; I am now in the process of completing the analysis and writing up my dissertation. Once I had finalised the subject area for my P&D, I decided to develop a step-by-step plan to get from choosing my research topic to submitting the final dissertation. There are a number of resources on the WBS Intranet that explain how to do this, but after reviewing a former student’s presentation on how they approached their P&D, I made the decision to invest in a book dedicated to the process. There were lots to choose from, including a recommendation from WBS to use Real World Research. However, after reviewing the synopsis of this and many others, I opted to buy Research Methods for Business Students – it also received strong reviews, is slightly more recent, and is focussed specifically on those undertaking a research project in business. For anyone at the start of their P&D, I would strongly recommend buying a book on the topic before going too far – there was lots of advice in the book that has helped guide me on every step of my P&D. Also, the methodology section of the dissertation typically expects you to justify the decisions you make regarding any research, and this book will provide lots of material for this. Another invaluable piece of advice that was given to me is to speak regularly with your project supervisor as you begin to scope out your project idea, develop your research methodology, and plan your dissertation; they may have specific guidance on the best approach to follow. I have found the discussions with my supervisor very beneficial, both because they helped provide clarity around what was expected of me when undertaking the research & analysis, and also ensuring that my dissertation will be consistent with what they expect (after all, they are the ones first-marking it). That’s just a quick introduction to getting started with the P&D – in future posts I’ll share my thoughts about undertaking the literature review, completing the research and writing the dissertation. Innovation & Creativity – I’m personally very interested in how innovation can help organisations be successful, and so was really looking forward to this module which I chose as one of my electives. The various innovation frameworks and perspectives on innovation were fascinating, particularly when I used these to assess the innovativeness of organisations I was familiar with. It was also useful to appreciate the role of creativity, particular in terms of managing creativity both at an individual and group level. The final assignment was very interesting, as it required me to undertake an assessment of the innovation capability of the company I worked for, and was a great opportunity to understand how the concepts applied to the reality of an organisation’s processes, structure and culture. Management of Change – This was another of my electives, and I expected to find a number of different methodologies and frameworks that could be used to implement change within an organisation. Initially I was slightly disheartened when I realised that only one of the ten lessons focused on these methodologies; however, as I progressed through the module I came to appreciate the various complexities of change, the importance of considering an organisation’s readiness for change, the different approaches that can be used to ‘frame’ changes, and how resistance to change can be dealt with. Overall, the module provided some really valuable insights, which I am confident I will be able to draw on in the future when involved in change programmes. Like Innovation & Creativity, the assignment was also based on the company I worked for, which again brought the module’s concepts to life, and helped me appreciate the challenges involved in implementing change in a large, global organisation. Strategic Advantage – this was a core module that considered the business strategy of an organisation. It started by looking at ways of evaluating the competitive landscape for an organisation, and then explored the different approaches to developing a competitive strategy, such as market and resource-based strategies, blue-ocean strategy, and hyper-competition. There were also some interesting lessons on mergers, alliances, and global strategies, all of which were fascinating. Although the module covered a broad range of concepts, I would have liked it to have gone into more depth in some areas; however, I guess this just means I should have taken the Strategy & Practice elective module. The final assignment was another really interesting one, focussing on the strategic impact of the Deepwater Horizon disaster on BP. Complexity, Management and Network Thinking looked at how businesses can take advantage of the increasingly complex environments in which they operate, including the networks that develop between people, organisations, processes, and systems. All that remains now to complete my MBA is the Project & Dissertation. This is a significant piece of work (about 25% of the MBA), which I’m really pleased to be starting as this will give me the opportunity to study in detail some of the concepts learned during the course, and apply them to a real-life environment. I made the decision to put my P&D on hold for a few months whilst I completed my last module, so although I’m starting a bit later than originally planned, this means I can now focus 100% of my time on the P&D, which I expect to take me until the start of next year. Although I have not finalised the exact research question for my P&D, it will almost definitely be related to the fields of Strategy, Business Models, or Innovation – but more about that in a future post. The Project typically involves investigating a company or industry issue, and includes elements of research and analysis. However, there is also the option to undertake a “desk-based” project which, which can be either research-based or literature-based. The Dissertation is an assessed 15,000 word assignment, where the project is critically analysed, and includes a literature review, an explanation of the methodology used, and significant discussion of the findings and analysis. The P&D explores in-depth one or more concepts from modules undertaken during the course, so it is helpful to look out for relevant concepts as you are studying the modules; it may be difficult to remember which aspects of modules were interesting if they were studied over a year ago. The topic on which you want to undertake your project may be studied in one or more electives, which are chosen in the second semester. Although it is possible to change electives as the course progresses, if you do not identify your project idea until late in the second year, there may be limited opportunity to change to the elective(s) you require. Finding a project topic can be easy for some, but may also be quite difficult – in which case taking a year to explore various ideas will avoid needing to find an idea quickly midway through the fourth semester. If you want to undertake a company-based project, it can take time to find the right sponsors and get approval for the project, especially if you want to use a company other than your current employer. Before choosing the project, it’s important to think about what you want to get from it; although it is required in order to complete the MBA, given the amount of work involved it would be a missed opportunity if this was the only objective. For example, the P&D could present an opportunity to immerse yourself in an area and become a specialist in a concept, it could be used to position yourself for a future career move (both for internal promotion or to be attractive to future employers), or it could be an opportunity to help a local business or charity that you have a particular interest in. Academic suitability – is the idea aligned sufficiently to academic theory, and will it provide opportunities for further research and investigation? Interest – as you will be working on the project for 6-12 months, it ideally needs to be based on a topic you find interesting, in order for you to stay motivated to the end. Existing knowledge and experience – although not essential, if you have existing knowledge relating to the topic, it will reduce the time needed for background reading and learning, allowing more time to be spent on the analysis and literature review. Access to businesses and people – many projects involve primary research, so having access to people or companies from which to collect this research will improve the likelihood of obtaining sufficient, relevant data from which to draw conclusions. Once you’ve decided the focus area for your P&D, the next step is to submit a project proposal. This is an unassessed document that is used by the P&D team to review the idea, ensure it is appropriate for the MBA programme, and allocate a suitable academic supervisor. The information required for this document means that you need to consider the methodology and relevant literature before you undertake the P&D. If you have a specific, defined project idea then this should be relatively straightforward to put together. However, if there is still some ambiguity to the project focus, I believe it is also acceptable to document some initial thoughts in the proposal, then explore these further with your allocated supervisor. What is important is that the proposal accurately reflects the appropriate discipline (e.g. Strategy, Marketing, Finance, Entrepreneurship), to ensure that a supervisor is allocated who where possible has a level of experience and/or interest in the field. A recent change to the P&D submission process is the timing schedule; there are now four specific proposal submission dates throughout the year. This not only provides a level of flexibility to accommodate how students schedule their electives, but also means that if a proposal has to be withdrawn because it is not suitable or no longer feasible, it is not necessary to wait until the next cohort’s submission date in order to submit a new proposal. Hopefully this post has given new and existing students an idea of what to expect when choosing a project; as my P&D progresses I will post about my experience undertaking the Project and writing the Dissertation. Right now though, it’s back to my final MBA module, Corporate Finance.